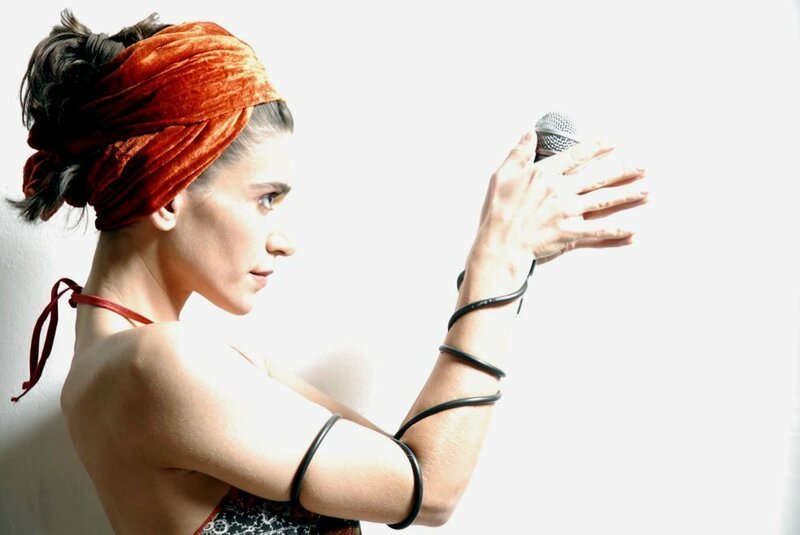 Yara Beilinson is blessed with an exceptional voice which is renowned for its timbre (as confirmed by Wynton Marsalis) its wide register and its pliancy – whether she is singing a samba, a ballad, latin american folk music, a standard piece, indigenous or afro yoruba music. Yara always adds a special ‘something’ to every song. Her personal and magic touch awakens the senses and captivates her audience, both in cover versions and her own pieces. Furthermore, Yara’s voice is like another instrument forming part of a caleidoscope of sounds, which can be heard and appreciated in colaborations such as “Cosas Mías”, “Primitivo”, “Los de Segundo” “Tambores Cantando”, “Territorio Imaginario”, “Somos todos Elefantes” “Basura de Luxo”, among others. Yara Beilinson is currently one of the most respected Brazilan Jazz singers in Spain today. Capable of transcending musical and language frontiers, this singer, composer and guitarist plays with themes which concern everyone, such as loneliness, rootlessness, identity, hope, needs or simply the nature of being human and the nature that surrounds us. All of these emotions she has experienced at some point during her life. Born in Brazil, raised in Argentina and having lived in Cuba and Uruguay before moving to Europe, Yara reveals through her voice the journeys she has made to get to where she is today. Performing on stage from an early age she has forged a confident and solid stage presence, resulting from her experience in numerous festivals and theatres in Latin America and Europe. Knowing how to unfold magic on stage, ethusing her accompanying musicians, she brings us melodies from her repertoire with absolute mastery, transmitting her exquisite sensitivity to the public. 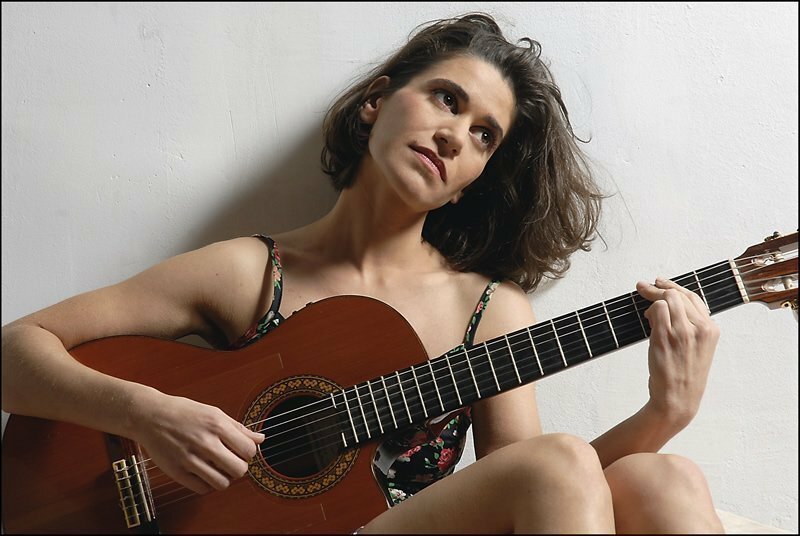 Her first album “Presente para vocês” (Fresh Sound New Talent / Blue Moon), was born from her desire to fuse different musical styles clearly based along the lines of Brazilian Jazz, resulting in an original, fresh and elegant album, backed up by a brilliant performance. (Fresh Sound New Talent / Blue Moon). Musical training at the EMPA Escuela de música popular Avellaneda (Argentina), studies of vocal techniques at ISA Instituto superior de arte de La Habana (Cuba), vocal techniques with Carmela Giuliano and Patricia Eberhardt, Bel Canto technique with José Manuel Elliot , Phono-corporal techniques with Iris Guiñazú, vocal arrangements, composition, elements of investigation, interpretation and improvisation with Pepa Vivanco (Head of department at EMPA), analysis of repertoire with María Laura Dos Santos, phoniatrics with Susana Naidich and Ana Inchausti, guitar with Chocho Ruíz, Daniel Galán and Guillermo Carrizo, harmony with Fernando Jokbe, tambúra with Roberto Kuczer, piano with Norberto Minichilo, flute with Pepa Vivanco, musical pedagogy training with Eric Giles and Pepa Vivanco, Dance Therapy with María Fux, Afro Yoruba dance at the ENA Escuela Nacional de Arte de La Habana (Cuba), Argentinian and Brazilian folk dance, modern and classical dance, corporal expression with Irene Rotemberg and Eliseo Rey, amongst others, corporal techniques with Silvia Estrín and Ariel Sicosky, theatre studies with Lito Cruz, Juan Acosta and Helena Tritek. YARA BEILINSON, lives in Barcelona since 2001 and is one of today’s upcoming voices of popular brazilian music and brazilian jazz. A singer, songwritrer and guitar player with a unique touch and a intense career. From a young age, Yara has been working and touring extensively with her different groups. “Yara Beilinson is gifted with a voice of exceptional quality”.